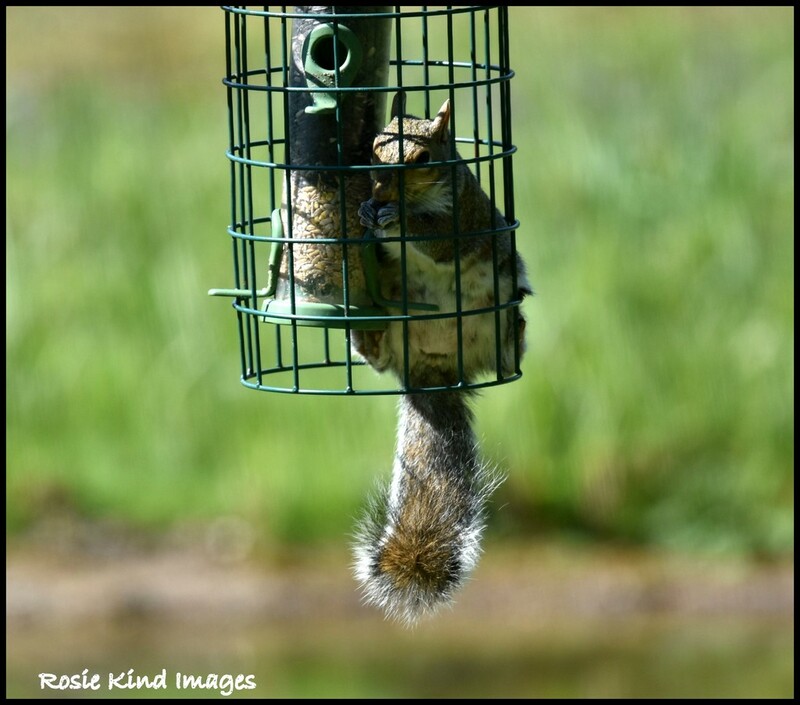 The RSPB sell these as being squirrel proof yet this naughty squizzer found it quite easy to munch away on the bird food. Hahahahah He’s gone down to the bottom of the feeder and then underneath it and back up inside, hasn’t he? They are damned clever. No flies on that swizzer, can't fool a clever & crafty boy! I don’t think anything is squirrel proof. Some feeders just take longer for them to get at the food but they always manage it eventually. Such a funny shot ! Don't be fooled by the advertising! The designer of that feeder just tested it on an uninterested squirrel! Mine can get a tight-fitting lid off a metal tin filled with sunflower seeds! Their will exceeds all deterrents! I've never met a squirrel proof feeder ...I've met lots and lots of squirrel magicians. They are very smart and if there's a way, they'll find it. Great shot. Smart squirrel! I want to feed the squirrels and almost every feeder says Squirrel Proof. You need to send the company this photo! LOL! Fav. You cannot outwit a squirrel! !